The debate on art and science is an ever ending one. Many want to believe science dictates art, others have their reasons to say art directs science while different voices might argue against both. Today I pick a side and I have my reasons and hope this will not turn into a debate but an appreciation of facts and idea flows. I believe God is a master artist. When I look at the magnificent scenes around the world – the rift valley, the mountains, the rugged or lush terrains oooo I gasp with awe. The colors, textures, sounds, forms and dimensions that are unique, peculiar and familiar. from the smallest of creatures to the largest of them all. we see beauty and the unmistakable signature of a master artist. The very core of my belief and faith is drawn from the bible which starts by narrating the nothing that was and when God spoke “his ideas” to the nothing all came to being. the beauty of silhouettes that depicts lack of light(night) and the dazzle that is light (day). the very fact that he had “good thoughts” affirms my belief of Jeremiah 29:11 that states he has good plans for each of his beloved. his good thoughts formed words that upon his speech of them formed the great universe that we will continue to unravel mystery upon mystery through our inquiry and curiosity of the unknown. His creatures will be subjects of study as has been since the human race was created. The possibilities in the combinations he created as discovered as the unique identifier not only of properties, form, character but distinct true value which we are told is “DNA” is incredible. Our God is truly mighty to have known each creature requires a primary key for his ever expansive creation database schema. Its is therefore not surprising to note that behind God’s art is a well choreographed science that orchestrates lifeforms into being. Which affects both the animate and inanimate beings. This leads me to my belief that God is the greatest scientist. To create we have to have thought and the synthesis of thought manifest into deliberate assertions in speech-written or otherwise that guide the creation. and following the biblical Genesis of creation as humans we need to encourage these “thinkers” however bizarre to process their “creation ideas”. their creation will be first artistic then the study of their intricate design will showcase a scientific prowess that manifests their genius. When a painter uses oil paint on canvas, he might not be familiar with the jargon of density, magnetism created as he strokes the brush against that canvas or the fermentation(if any occurs) of the paint to form other hues and textures blah blah His main aim is to create new form or replicate a scenery in his own distinct rendition. but when painting specialists analyse the painting then their appreciation of that form of art can be termed scientific. When the artistic creators of the movies star trek, star wars, the James Bond series etc wrote their scripts, their creative geniuses came up with concepts that we termed science fiction(sci-fi). This I term “art”. The concept cars and gadgets of James Bond, star trek , matrix etc have been a guide to scientists and artists alike to create their own versions of the same that have inspired items we see and use now. 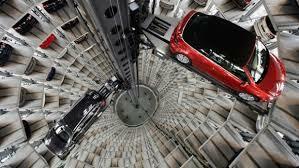 I saw a documentary on Deutche Welle channel in the nineties of concepts car elevators. Atse! This was pure sci-fi packaged as news. 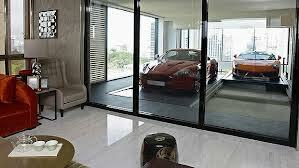 Now it is a best practice to have car elevators in luxury apartments, high-rise buildings and is an economic way of utilizing space. 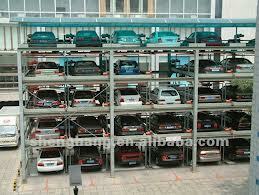 Creating an ease of parking like never before. Using spaces to their full potential. Art generates Science. James Bond’s character wowed the world with a bio-metric car starter and fingerprint specific gun, phone etc. now many enjoy this in their cars. 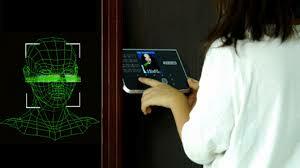 Fiction writers talked of face recognition access doors and they were turned into movies. Now that”art science” is all around us and we pride in the security it assures. There are endless possibilities in art and given the boost of science then almost nothing is impossible! “Thinkers” dream on then formulate the art-forms using whatever means which many will appreciate as science into new creations.